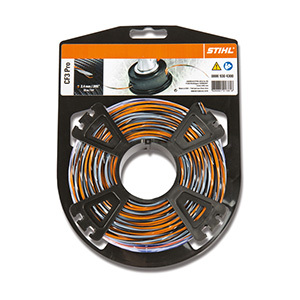 Made from a durable, hard-wearing, flexible and lightweight material, this 2.4 mm thick mowing line is a genuine STIHL product. Supplied as a 434 metre long reel. 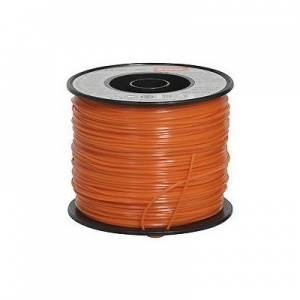 Ideal for replacing worn line on your STIHL mowing heads, this is a great value 358 metre roll of 2.7 mm diameter nylon line with a square profile, perfect for tougher jobs. 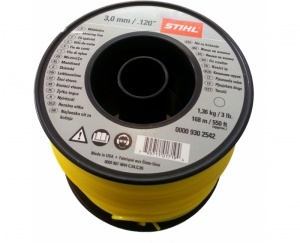 Supplied on a 280 metre reel for excellent value, this genuine STIHL round profile mowing line is a great choice for all-round use, with a diameter of 3.0 mm. 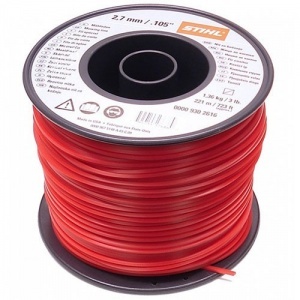 Supplied in a great value 215 metre reel, this is a 2.7 mm diameter mowing line with a round profile and is a genuine STIHL part. Ideal for replenishing your STIHL mowing heads. 3.0 mm diameter mowing line from STIHL, this is ideal for general use courtesy of its round profile. 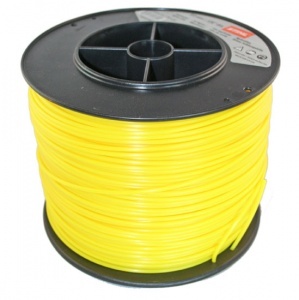 Supplied in a great value reel of 168 metres. 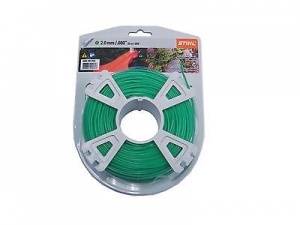 Genuine Husqvarna strimmer line, this is a 90 metre reel of 2.4 mm diameter line, giving a noise reduction of up to 50 percent over standard round lines, plus added durability. 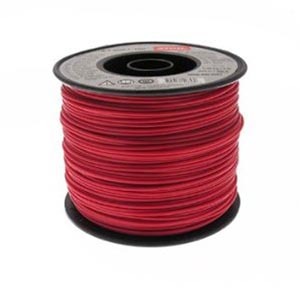 With a reduction in noise by up to 50 percent compared to standard round mowing line, this Whisper X line is also more durable. Supplied as a 70 metre reel with a 2.7 mm diameter. 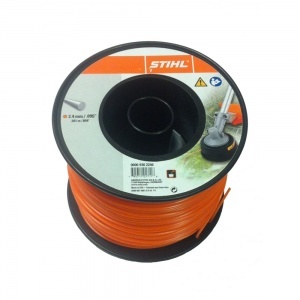 Genuine STIHL mowing line, this 2.7 mm diameter, round-profile line is ideal for replacing worn line on your STIHL strimmer. It comes on a 261 metre reel that represents outstanding value for money. With its cruciform profile, the CF3 Pro mowing line is able to not only provide excellent performance and neat edges, but it reduces the whistling noise created when mowing. With an intelligent, high-tech design, STIHL's cruciform profile CF3 Pro line helps to reduce the whistling noise associated with line trimming and benefits from fantastic cutting performance for a neat finish. Offering quieter strimming with its unique cruciform profile, STIHL's high performance CF3 mowing line is also great for tough jobs, courtesy of a twisted profile giving improved cutting performance. 2.7 mm diameter mowing line with a square profile with harsh edges that make it ideal for slicing through thicker vegetation and weeds. It comes on a 215 metre reel. 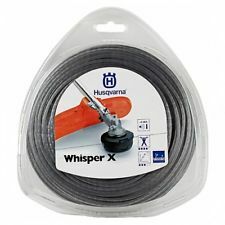 3.0 mm diameter trimmer line from Husqvarna, this Whisper X line enjoys reduced noise levels of up to 50 percent as well as improved durability. Supplied as a 56 metre reel.